If you believe that your ridesharing driver is intoxicated, contact our Salt Lake City Lyft accident attorney Joseph Jardine fights for victims wronged by rideshare drivers. Call Jardine Law Offices at 801-350-3506 for a free consultation. Ever had a Lyft ride that was so scary you were glad to be alive after it was over or after it was cut short? That’s what happened to a West Jordan woman and her friends when they requested a ride via Lyft after a night out on a Sunday morning. The group of friends was celebrating one of their friend’s birthdays at Gracie’s Bar in downtown Salt Lake City, so, naturally, they had been drinking all night. But the riders were not the only ones who were a little drunk, as their Lyft driver was intoxicated, too. The riders wanted to get home safely after the night out, but little did they know that their ride was about to get very scary. “It may seem like encountering a drunk Lyft or Uber driver is something out of the extraordinary, but, unfortunately, there have been plenty of reports from Uber and Lyft riders complaining that their rideshare driver was driving under the influence of alcohol or drugs,” says our Salt Lake City Lyft accident attorney at Jardine Law Offices, P.C. But let’s shift our attention back to the ride in which the Lyft driver was intoxicated while transporting passengers. It all started when the group of friends requested a Lyft vehicle that would fit all six of them. But the group of friends realized that their ride was about to get very unsafe when the Lyft driver refused to give them an extra seat in his vehicle and had four of them squeeze in the back of the vehicle. Then the group of friends noticed that the impaired Lyft driver was going about 50 miles per hour on the freeway where the speed limit was 70 mph. After the passengers told the driver that he was driving unusually slow, the driver did not go any faster. The drunk Lyft driver was reported to Utah Highway Patrol (UHP) by another driver who noticed the Lyft vehicle driving in an erratic manner on the freeway. Later, the Lyft driver was pulled over by a police officer. Despite the passengers telling the driver to pull over on the right-hand side to the shoulder, he stopped in the middle of the road and waited for the police officer to approach the vehicle. The officer noticed possible signs of driving under the influence of alcohol or drugs, which is why he conducted a field sobriety test. The Lyft driver did not pass the test, and was arrested on suspicion of drunk driving. After the arrest, the group of friends said they were not surprised by the result, because of his manner of driving. After the incident, the group of friends was breathing a big sigh of relief, because they were happy to be alive. Our Salt Lake City Lyft accident attorney explains that the passengers are lucky that the incident ended like this. If the Lyft driver was not arrested on suspicion of driving under the influence, the outcome could have been deadly. Lyft drivers who transport passengers while intoxicated put their lives at risk. In fact, encountering a drunk Uber or Lyft driver is not such an unusual thing. 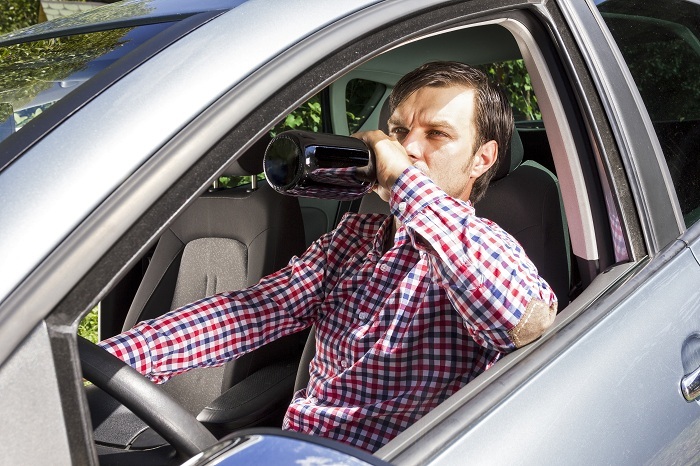 If you believe that your ridesharing driver is intoxicated, do not hesitate to schedule a free consultation with a lawyer from Jardine Law Offices, P.C. Call at 801-350-3506.